The enactment of the Dodd-Frank legislation has created significant changes to virtually all elements of the financial services industry. From the consumer protection regulations being implemented by the Consumer Financial Protection Bureau to the increased reporting requirements by the traditional banking industry, these changes are having profound impacts. Part of our challenge is to ensure that our national policy makers are well aware that a “one size fits all” approach to financial reform is an inappropriate response to our fiscal crisis. 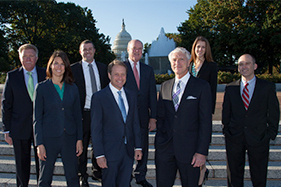 Our clients believe that government oversight is critical, but it cannot be stifling. In Washington, the challenge our clients face is to understand where that balance is and how best to achieve it. To this end, PACE continues its active role in advocating on behalf of our clients as the economic recovery slowly continues – and anticipating policy changes that continue to evolve in response to the country’s economic meltdown. At the same time, PACE remains at the forefront of policy changes in the area of privacy protection and financial reporting. As demands for greater transparency in the financial services sector continue, we are working with our clients to completely understand the implications of regulations and legislation being proposed. Finally, PACE had an active role on behalf of our clients in helping to develop some of the commercial changes enacted in the Bankruptcy Reform Act of 2005. While we do not sense an urgent push by Congress to re-open the bankruptcy code for further reform, we are aware of pressures building to modify elements of the commercial provisions in the code modified in 2005.